You might have heard lot about Android's hidden and secret settings. I am talking about developer options. As name itself speak, these settings are intended for development use only. 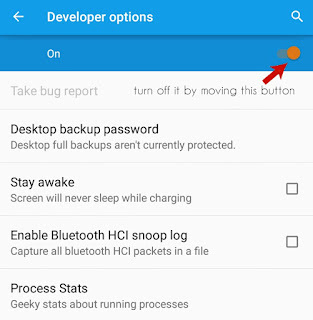 People who make Android apps can use these options to test their app performance and for debugging process. They allow you to see CPU usage, screen touches, pointer location, screen updates, layout bounds and other useful information. They also allow to slow down and speed up the animation scales manually. For example, you can increase or decrease the screen transition time. One of the most popular and talked feature of developer options is "Don't keep activities". Some people have misunderstanding about this feature. So I am here to explain you everything about it. 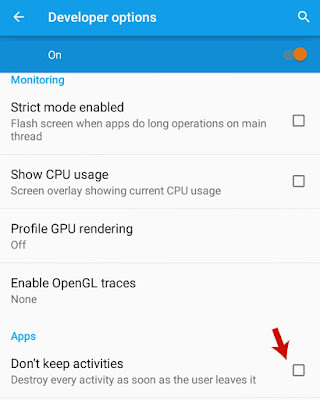 But before that, you should know about how to enable these developer options settings in your Android phone. First of all, go to "Settings" and click "About phone". Here you'll find "Build number" option. Now click it more than 7 times as fast as you can. After too many clicks, it will display a dialog box showing a message as "You are now a developer!". Finally go back to the settings window and you will find new "Developer options" there. 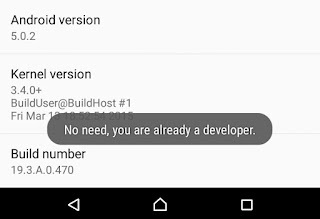 Note: After enabling developer options, you can not hide them again. The only way is to reset your phone settings. However, you can turn off this feature any time. To do this, go to "Settings > Developer options" and switch off the button at the top-right corner of the screen. Make sure that it's turned off when not in use. What does "Don't keep activities" feature actually do? We all know that Android phones also have RAM memory which is used by system and other third-party apps to save their temporary files (such as images, text or thumbnails). Each app needs its own space to work. As soon as the operation is completed, app will automatically leave the RAM space and delete all its cached data. While on the other hand, there are some applications which work in background even when you're not using them. Tell me how it was possible to get WhatsApp and Facebook push notifications when your phone is locked. It's all because of apps running in background. In the same way, there are hundreds of other activities working every time in your Android phone. As soon as this feature will kill activities, some apps may force them to work again. This will continue as an infinite loop and may lead to slow down in your phone's performance. Eat battery life: After enabling this feature, your phone will start eating more battery life and it will drain at fastest rate. The reason is very simple. As already mentioned, some apps will force activities to work, while this feature will destroy them. Doing this, your phone will consume more battery power. Slow down phone speed: As this feature will destroy activities, next time your phone have to go through the complete process to open them again, which will take more than usual time to load. You can feel and see it by yourself. Even the app icons and thumbnails will load very slow. Now come to the conclusion part. So do you really need to use this feature? The short and simple answer is no because there is no benefit of using it. Moreover, it will eat your battery life and affect phone's performance. 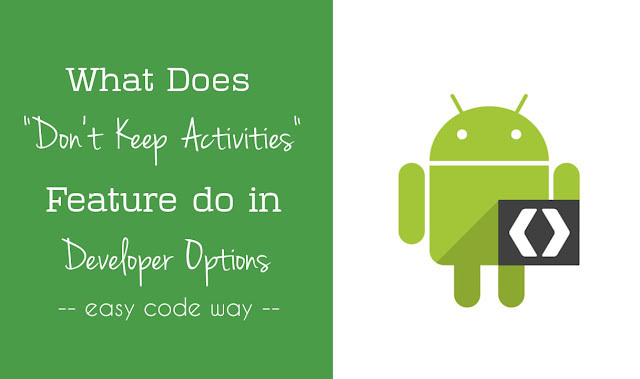 This is all what you need to know about "Don't keep activities" feature in your Android developer options. If you've any doubts, share them in below comment box. What do you think about this feature? Where do you think this can be helpful?